Let us hope the suspension of Samuela Drudru serves as a lesson to all sportspeople in Fiji. 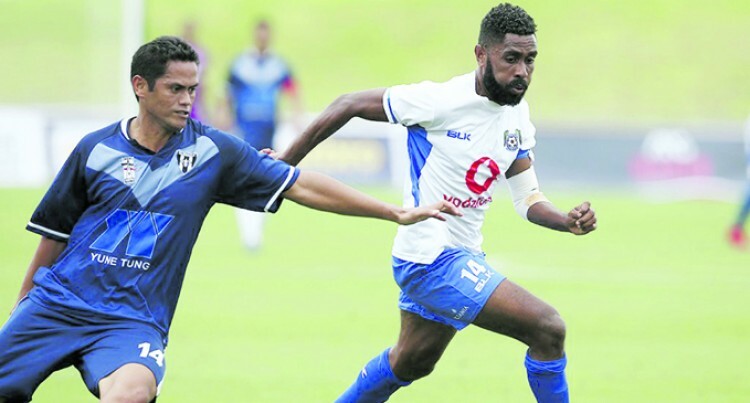 The Oceania Football Confederation (OFC) discipli­nary committee ruled on Friday that the Lautoka foot­ball striker will be suspended for seven matches at all levels. He will also be banned from entering the confines of the stadiums for those seven matches and fined $10,000 for making racist remarks towards a match official. The lesson for all is there is no room for people spewing racial venom against match officials or players during games. They should not take the law into their own hands. At times when the heat is on, players resort to the “law of the jungle” and think they get away with it, only to regret the decision later. Sport provides a medium for people to compete, enjoy and respect one another and this includes match of­ficials whose decisions are always final, whether their interpretation is right or wrong, because they are the sole arbiter of fact. Lautoka striker Drudru must be regretting making the cardinal sin. We hope he learns from it. On April 22, 2018, after the OFC Champions League semifinal between Lautoka and Marist FC, Drudru ad­mitted calling the referee “white people” after he was red carded for a second caution. He also displayed discriminatory behaviour towards match officials. At the hearing on Friday in Wellington, the OFC disci­plinary committee found Drudru in breach of Article 56 (1) of the OFC Disciplinary Code. Anyone who publicly disparages, discriminates against or denigrates someone in a defamatory man­ner on account of race, colour, language, religion or ethnic origin will be subject to match suspension for at least five (5) matches at every level. The body will im­pose a ban on his entering the confines of any stadia and a fine of at least NZD5,000. If the perpetrator is an official, the fine will be at least NZD10,000. For his demeanour, he let everybody down. Firstly, the Lautoka team which plays Team Wellington in the first leg of the OFC Champions League final in New Zealand’s capital today. This is the first time that the Blues are competing in the final and Drudru’s contribution upfront will be missed. Secondly, the Blues are representing the people of Fiji and he let us down in his one moment of madness. Thirdly, he is wasting Lautoka Football’s time and ex­penses in preparing him for the Blues campaign in 2018. We are all brought up to respect others. Sometimes we lose control in the heat of the moment, but we should always try to make the right decisions. It is one thing to compete in the spirit of fair play and quite another to cast aside all that through unsports­manlike behaviour. Let us hope that lessons are learnt for the future and our sportspeople know how to keep within the bounds of fairplay.